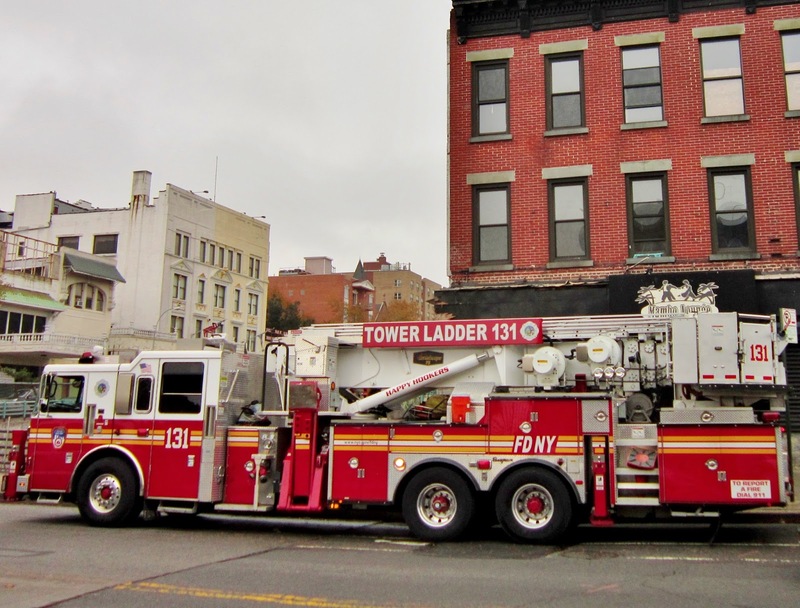 Back in 2005 the FDNY began cracking down on company nicknames: the Nut House, the Hollis Hogs, 90 Proof, & other unprofessional terms would have to go. This was met with some resistance, but even if the names remained, defiantly, on certain firehouse walls, the vehicles all conformed to the new directives. Or so I'd thought until yesterday. Joy. 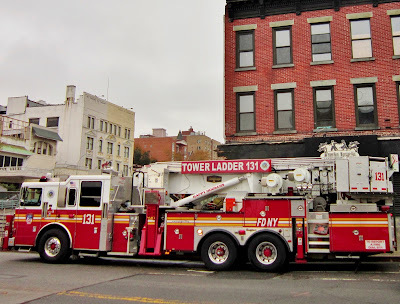 There on Fifth, a ladder truck, quietly refusing to surrender its old identity. My favorite name of all of them. The Happy Hookers live on!